Upgrader's dilemmas. We've had a few of those over the years but, every once in a while, deciding between the next generation and the last transcends the limits of a brand. By consistently delivering the goods, the Galaxy line has become synonymous with the best that Android has to offer. Now, it's a huge reputation to live up to and it's only getting harder for every new flagship. 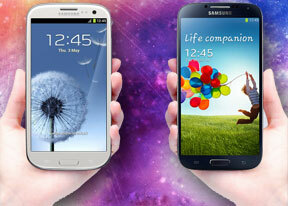 With millions of Galaxy S4's being packaged as we speak and prepared for shipping, it's the time for hard choices. Very much so for Galaxy S III owners - about 50 million of them on latest account. Upgrade or stay put? Tough one. Or is it? For smartphone geeks it borders on a no-brainer. It's the newer model that flaunts a full-HD five-incher and an immensely powerful chipset, with a 13MP camera and a host new software tricks to boot. Those should be enough of a nudge to get fence-sitters on the right side of the fence. Which, from Samsung's perspective, is the side of the Galaxy S4. That's the thing, though. It's the manufacturer's job to always get people interested in the latest. You on the other hand, want to know if they're getting enough in return for their hard-earned cash. You may still end up buying a new model every year, but it should be a choice not a compulsion. 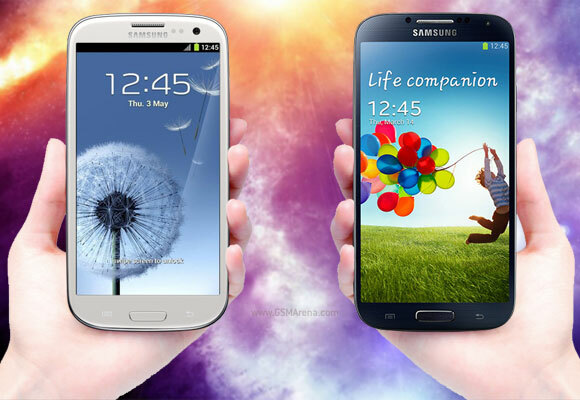 Samsung did its best - again - to make it easy for users to choose the Galaxy S4. No dramatic changes to the styling might be a concern, but then again it's obvious that a lot of effort went into the design. The Galaxy S4 packs a bigger battery, a slightly larger screen, a more powerful processor into a body that's more compact than that of its predecessor. The screen is a significant step up from the previous model too - it's crisper, having more than double the amount of pixels, superior brightness and colors and, not least of all, does have that precious extra room for even better productivity and multimedia experience. On the software front, there are air gestures, eye tracking, face tracking, Smart Pause. Features that elevate the TouchWiz experience above the rest in terms of both usability and novelty, but at least some of them will eventually land on the Galaxy S III too. So, while it's clear that the Galaxy S4 is in many ways superior to the Galaxy S III, it's equally easy to turn that around and say that both phones share many similarities. Both will be running the latest Android software when the Galaxy S III gets its promised update and both have great Super AMOLED screens, capable processors, expandable storage, solid battery life and stellar cameras. There a significant price gap between the two as well and that's another important part of the decision-making. So, while it's not impossible to put a price on improvements like to the screen, camera, processing power, audio quality and the like, the hard bit is for every user to do their own math and decide whether the premium charged is worth it. We'll try to cover every important aspect of the experience these two can provide and hopefully get most of your questions answered. We're back after the break with the design and build overview.